She slowly released her breath, released the grip on the longbow in her hands and felt the rush of air as the arrow sped towards the large wolf. The creature was already panting heavily, the left side of its snout a bloody mess thanks to Zora’s two handed sword. The wooden shaft travelled true, its iron point piercing sinew and bone to impale itself in the beast’s heart. It gave one last beat then gave out. The wolf collapsed in a heap, twitched one last time and settled into a puddle of its lifeblood that grew beneath it. ‘Great shot Deana,’ chirped Vilja. Her perfect countenance marred by three deep claw marks across her left cheek. ‘Bah. Get in close next time,’ barked Zora. ‘Get your hands dirty elf!’ A blue shimmering was testament to a protective spell she had cast on herself wearing off as she kneeled down by the wolf’s corpse and drew her hunting knife ready to skin the beast. ‘Big un aint it,’ said Deanthala. ‘Hunters Guild in Whiterun wasn’t lying.’ Indeed it was not and it was on a commission for that guild that Deanthala and her companions had been scouring the hills above Riverwood for the better part of the morning. 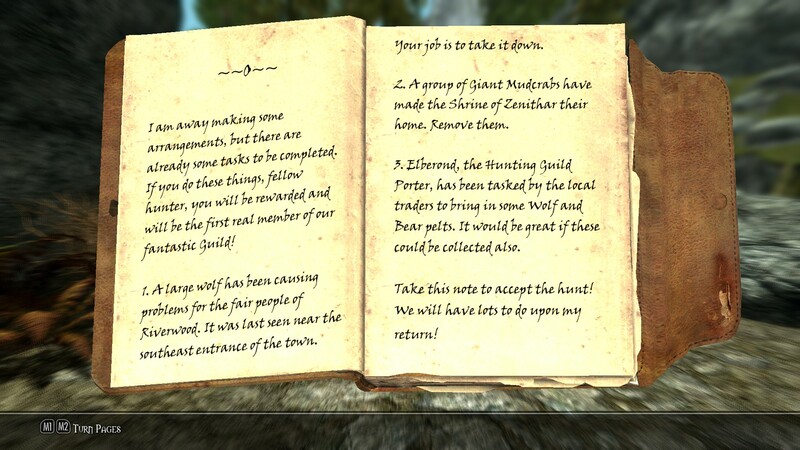 A bounty had been posted in the Guild in The Drunken Huntsman in response to the people of Riverwood’s plea to rid the area of a large wolf preying on livestock. They had been able to corner the beast against the mountain side high above the village and would now be returning victorious. Drinks in The Sleeping Giant were courtesy of Orgnar, having had lost his horse to the wolf. The beast’s pelt was displayed for all to see and an very inebriated Vilja fell off the bar while dancing ‘like they do in Solsthiem! (OT She actually does this when plied with drink). Deana sat in a corner and updated her Journal. Not knowing much of her Past she had promised herself a record of her Present, a way of not losing herself. She her noted some other bounties the Hunter’s Guild had posted. Her need to feel part of something made her want to support the Guild and if that meant these menial tasks then so be it. 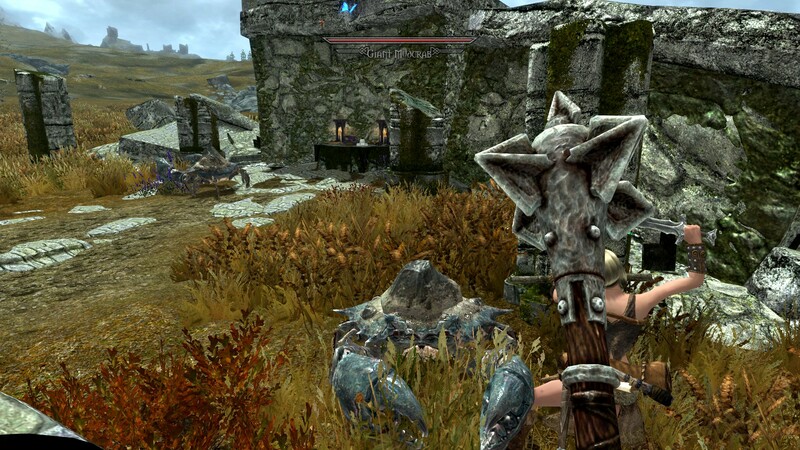 It seemed a little mud crab clearing would be in order in a shrine dedicated to Zenithar in the tundra to the West of Whiterun. Vilja’s drunken singing took her attention away from her journal and she could not help but join in with the raucous clapping that accompanied the Nord woman’s songs. Deanthala…a name that seems more Altmer than Dunmer, not surprising as she was brought up by two of the golden skinned elves not by her own ebony skinned people. She doesn’t know much of her own Past. Yes she has heard snippets of a shipwreck in the Sea of Ghosts. Of a cradle being washed up on some distant shore. Her earliest memories are of cold air, mountain pines and deep snow. Kind golden eyes, so polar opposite to her own violet orbs. Violet hues that are also mirrored in her hair, contrasting exquisitely with the ebony tinge of her native skin. A village, thatched roofs, a small cottage set just outside the human community. A small cottage she returns to one day from the Wilds to find blood and torn bodies. Golden eyes now dark and dead, having lost their spark. Strange arrows strewn across the cottage walls, more blood inside flowing from a deeply cut throat. Numb, speechless, cold, empty. No one wants to help the dark elf. The humans turn insular, the word ‘Forsworn’, she is turned away. 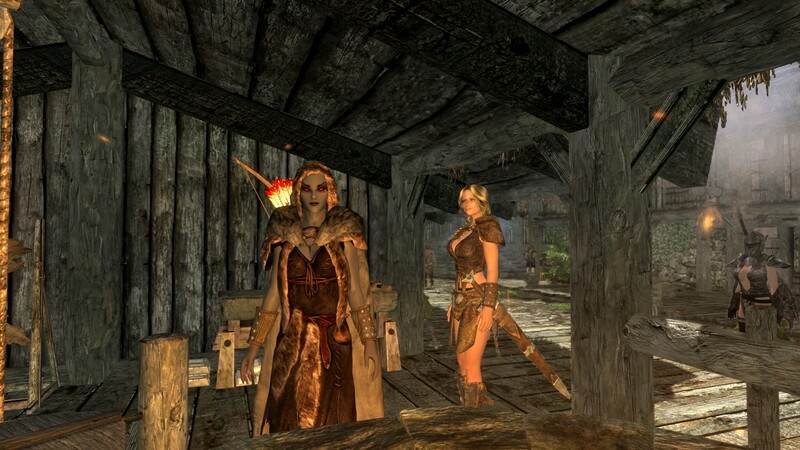 Barely having come of age she returns to the blood spattered cottage and tries to give her parents – a funny concept to her but these Altmer were the only ones she knew – as much dignity as possible in death. Being a child of the Northern Woods she turns to them for comfort learning first to survive and then thrive in the harsh Skyrim climate. Her bow her best friend, the stars her canopy, the forest her home. She hears about the Forsworn, about their struggle but she only wants revenge. She travels ever Southwards, a place Whiterun – a great hold with great opportunities – great forest, tall and warm. She keeps to the woods and forests, to what she knows. Whiterun seems the largest place in the world to her. Walls of stone, a large palace atop a majestic hill – so many people. The weeks alone have made her nervous yet as the days pass she welcomes company again. A majestic beauty going by the name of Vilja befriends her in a tavern she had been staying at called the Bannered Mare. Together they begin to travel the lands around Whiterun. Her strong violet locks contrasting with the Nordic blonde of her companion. 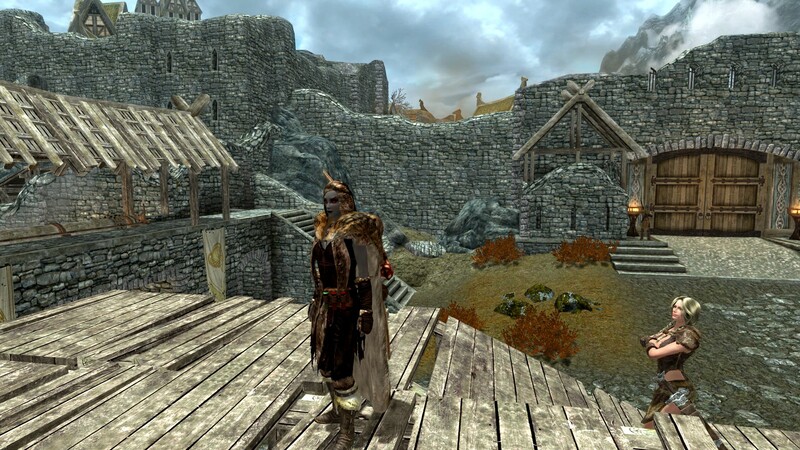 OT I am using Vilja in Skyrim Mod, Interesting NPC’s and UFO to allow the variety in followers and to allow me to construct some sort of adventuring party. I will reference any mods that will have an impact on the direct storyline.